Back in 1978, Intel released a processor of great historical significance: the 8086. This was the company’s first 16 bit processor with a x86 architecture, the latter still being relevant today. The 8086 and later processors were so successful that Intel practically took over the entire market, even if AMD have recently made inroads thanks to its popular Ryzen chips. But still, Intel obviously sees the anniversary of the 8086 as a pretty important event on the calendar, and to celebrate this the Santa Clara company is releasing a special edition i7 processor. The Intel Core i7-8086K will be available in limited quantities, and can be bought starting on June 8, 2018 (today). Like other i7 processors of the current “Coffee Lake” generation of Intel chips, this is a 6-core processor (which can nonetheless handle a total of 12 computing threads at a time, as it supports multi-threading), and has a base clock of 4 GHz. What’s interesting is that, like its predecessors, this can reach clock speeds of 5 GHz without overclocking, which is impressive indeed. 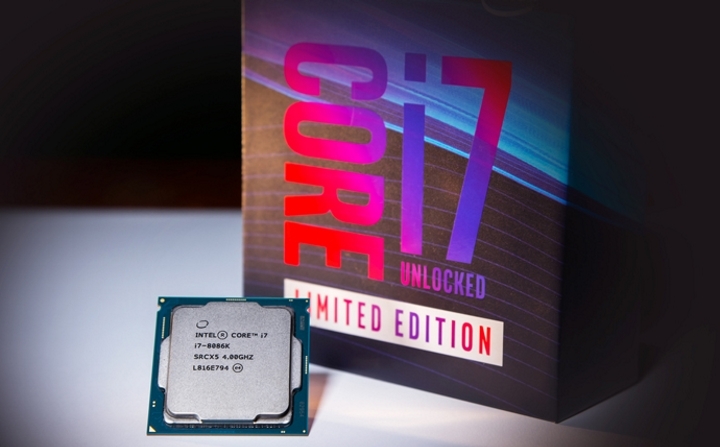 “The Intel Core i7-8086K processor is also the first Intel processor to deliver up to 5.0 GHz single-core turbo frequency out of the box, fully unlocked for overclocking”, says Intel on its website (via PC Gamer). So, it’s clear that technology enthusiasts looking to buy a processor will surely be interested in picking up Intel’s premium CPU then, even if the technology giant has even more exciting stuff on the pipeline. Actually, Intel’s next-gen Cannon Lake processors are now on the horizon. This new line-up is supposed to include an 8-core model, plus even better performance than the Coffee Lake processors. Hopefully though, Intel will make sure there’s plenty of stock of its upcoming 9th generation processors at launch, and avoid a “paper launch” of its new silicon as was the case with Coffee Lake last year. Either way, it’s clear Intel’s upcoming CPUs will offer more choice for gamers, but for the time being the new i7-8086K is available for purchase, while Intel is also giving away this limited-edition processor as part of its sweeptakes too. Next: Will Blizzard’s next release be Diablo 3 for Nintendo Switch?